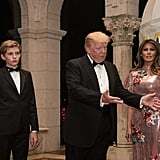 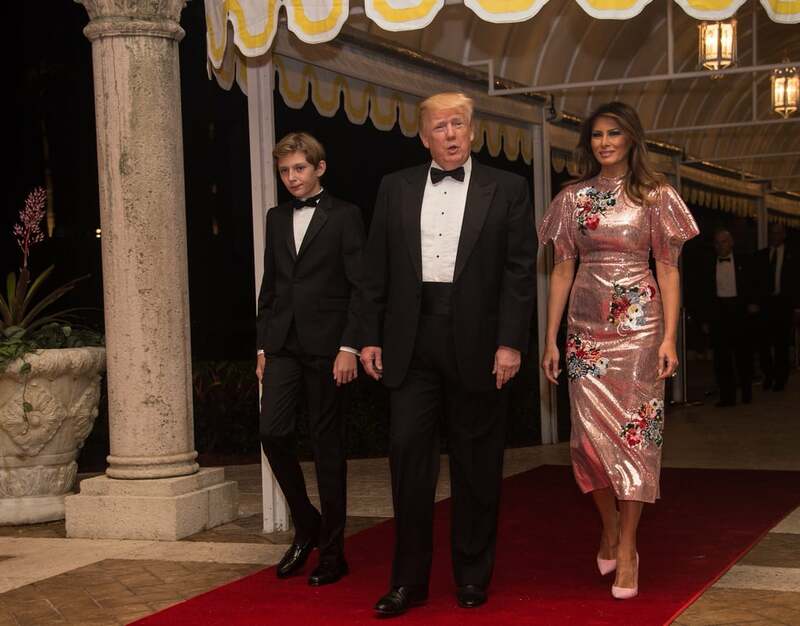 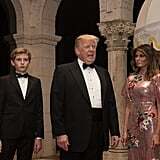 Melania Trump joined the president and her son Barron at Mar-a-Lago resort for a New Year's Eve gala. 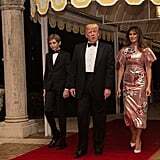 While Donald and Barron were dressed in matching tuxedos and bow ties, it's safe to say the first lady stole the spotlight in her sequined Erdem mididress (worth $5,503, but on sale for $2,201). 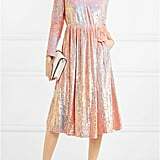 The glitzy number was a sugary shade of pink and came complete with bouquet embroideries and poufy sleeves. 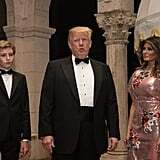 Melania kept the color scheme monochromatic with pastel pumps and she accessorized with her sparkling diamond ring. 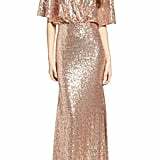 Ahead, get a look at her festive outfit, then shop the exact piece along with similar, more affordable options.